Turkey, pies, cranberry sauce and stuffing will soon be filling our table spaces. With the best meal of the year coming up, it’s imperative to pull out all the stops for serving the feast on a beautiful holiday table. And what better way to showcase your creative skills and seasonal spirit than by making your very own Thanksgiving centerpieces? Wow your guests with these five easy and elegant Thanksgiving centerpieces that will make your table the talk of Thanksgiving for years to come. This super simple hack doesn’t require much effort and is guaranteed to make a statement at your table. 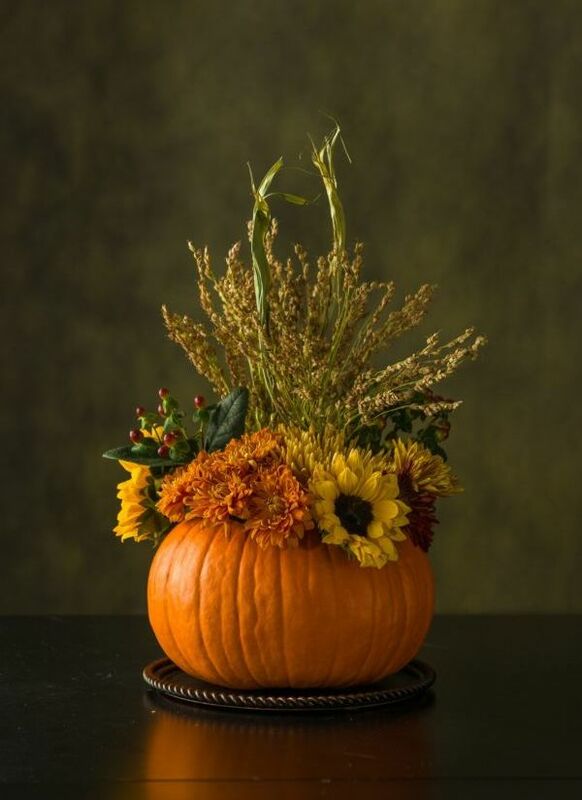 To switch up the design, consider getting pumpkins in varying colors and a mix of flowers, berries and twigs for your flower fill. 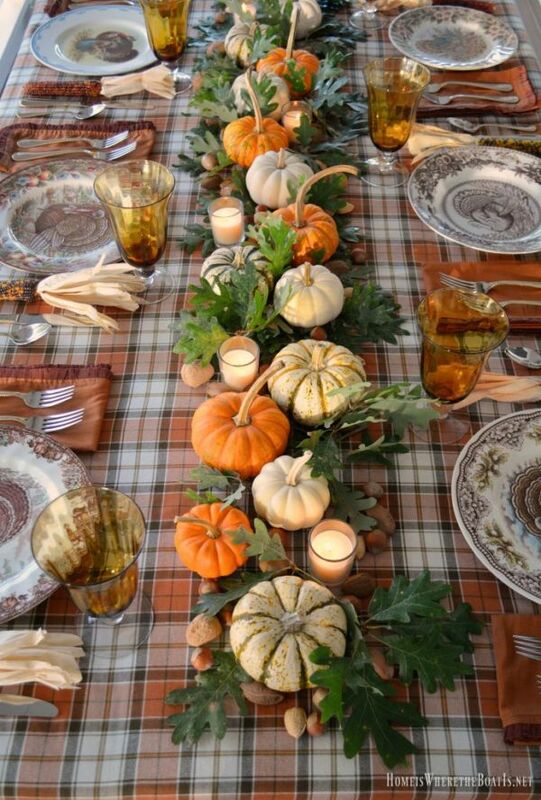 If you have mini pumpkins, nuts and leaves lying around, and a few minutes to spare, then you’re well on your way to having this leafy table runner grace your dinner table. This natural runner takes five minutes to assemble and is the perfect topper to your Thanksgiving festivities. 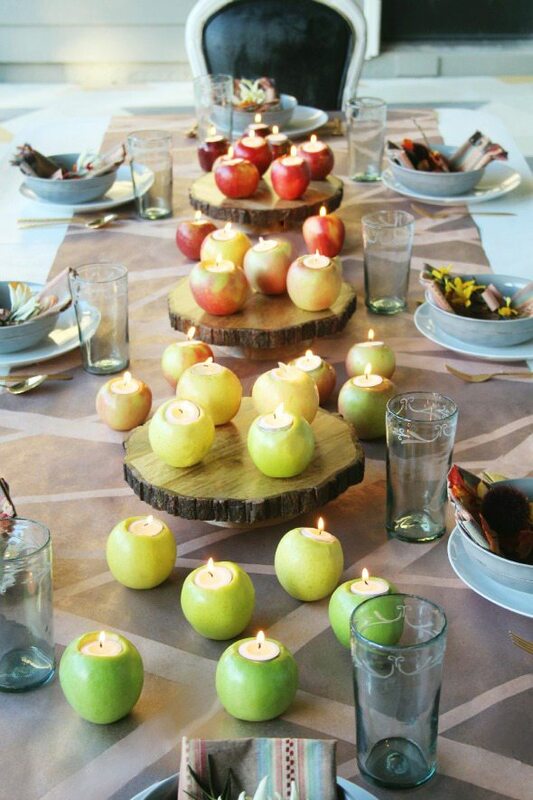 Another easy and budget-friendly idea is simply cutting up apples and placing a candle inside them. To keep your apples looking fresh for your party, give them an apple cider vinegar bath and soak them in water to kill bacteria on the fruit’s surface. Create a beautiful flower pack without spending big bucks. 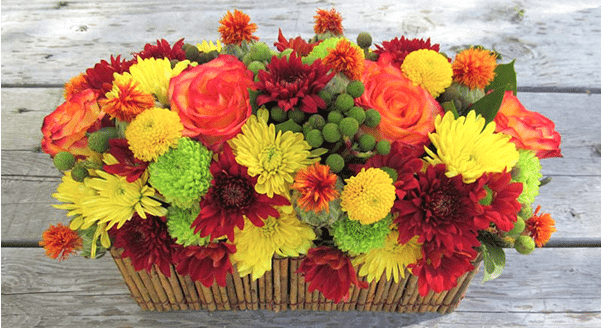 This centerpiece requires fresh flowers, a vase and floral foam. You’ll be able to arrange the flowers to your liking and give your centerpiece a personal touch by picking out the flowers and stems yourself. Who knew something as common as acorns could make for such a spectacle? 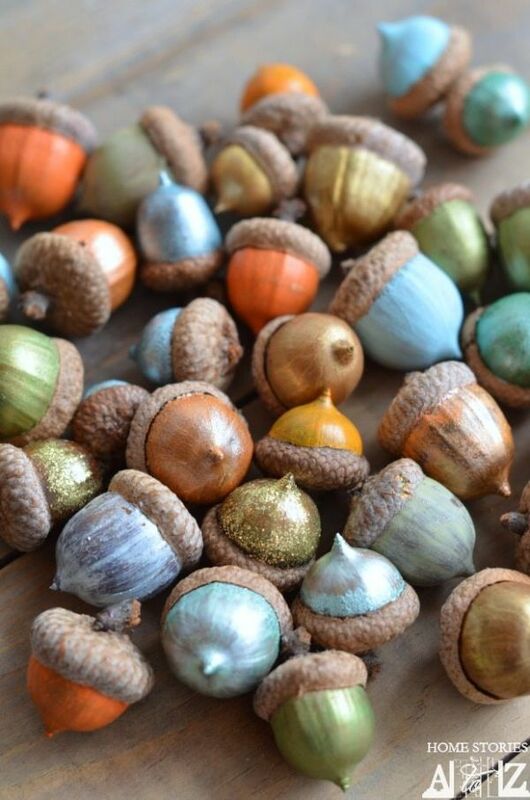 Using acrylic craft paints, you’ll transform the oak nuts into a colorful addition to your dinner table. Remember to bake them in the oven before painting to be sure there are no bugs that’ll ruin the party.